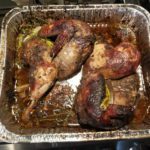 This is a spin on the traditional roasted turkey breast that is served in The USA. Back home in Jamaica, we like to put our own twist on any recipe that we can find. The Jerk seasoning with the orange glaze mixes together to form the perfect balance between sweet and spicy. 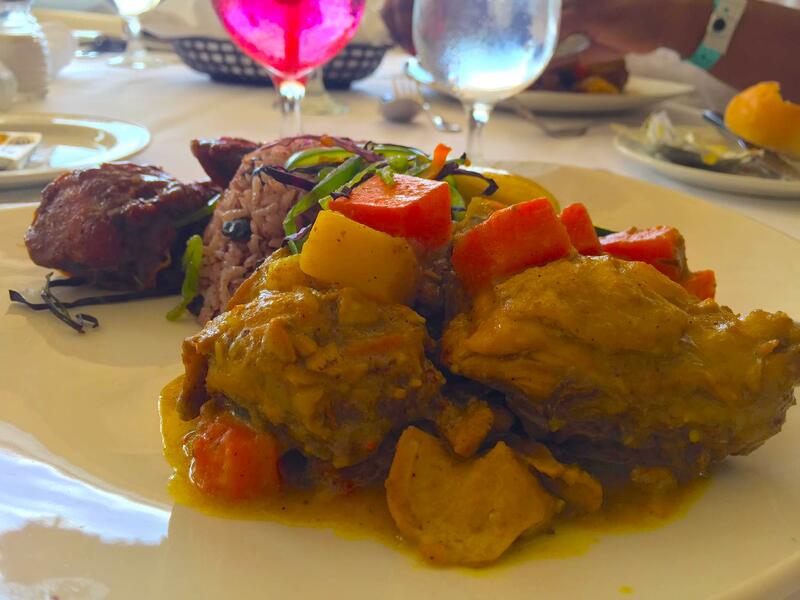 This USA-Jamaican fusion will definitely have your family and guests wanting more. Although Thanksgiving isn’t officially celebrated in Jamaica, it is not uncommon for Jamaicans to celebrate the holiday in the USA, and in Canada. 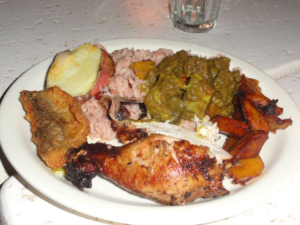 Jamaicans have incorporated their traditional recipes into the whole Thanksgiving tradition. That is because so much of the day is centered around food, and if there is food involved, you better believe Jamaicans are interested. So much of our culture is centered around food, anything that has to do with food and recipes, we are drawn to it like a moth to a flame. This mouth-watering turkey breast recipe puts a spin on the traditional roasted turkey breast. In Jamaica, we spice it up with jerk seasoning. Place Turkey Breast (cavity down) in roasting pan. Inject all over turkey breast with a meat injector, the butter, chicken stock, and garlic mixture. Mix teriyaki sauce with Jerk sauce and rub the entire turkey breast with the mixture. Pour the remainder 1/12 cup of chicken broth in the bottom of the roasting pan. Cover the roasting pan loosely with aluminum foil and bake for 45 -50 mins. Remove turkey breast from oven to rest while u prepare the glaze. In a saucepan simmer on low heat orange juice and grated ginger reduce to 1/2 cup. Remove from heat. Strain and remove any pieces of ginger. Add orange glaze, Grand Marnier and orange juice with ginger and mix thoroughly. Pour mixture over turkey breast and generously glaze turkey breast. Return turkey breast uncovered to oven for approximately 20 minutes until golden brown. Use drippings from turkey breast and add to your favorite turkey gravy. If you are looking for a quick Papaya salad with shrimp recipe, this is just for you. In Jamaica, we use a lot of the native fruits in our recipes. They are used in salads and main courses alike. This salad can be served as an appetizer, or as a main course for lunch. Papaya makes for an excellent ingredient in salads because the flavor compliments so many other ingredients. Papaya salad made with spicy shrimp is the perfect appetizer or can be served as a main course. 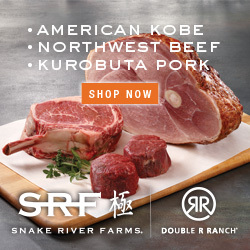 Great for BBQ's or the dinner table. Marinate cubed papaya in apricot brandy and Meyers rum and refrigerate. Season shrimp with jerk sauce garlic salt green onions and bay leaves. In a Dutch oven or heavy frying pan add coconut oil to medium heat until hot. Add annatto to Hot oil. Turn heat up on high. 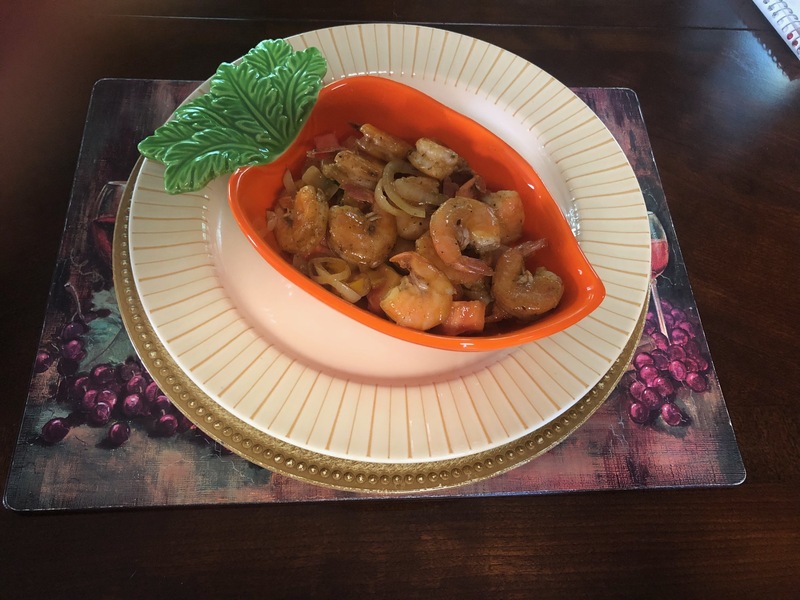 Add shrimp with all seasoning and stir-fry until shrimp is a pale pink do not overcook. Turn heat off and add vinegar and stir well for approx 5 mins. Let cool. 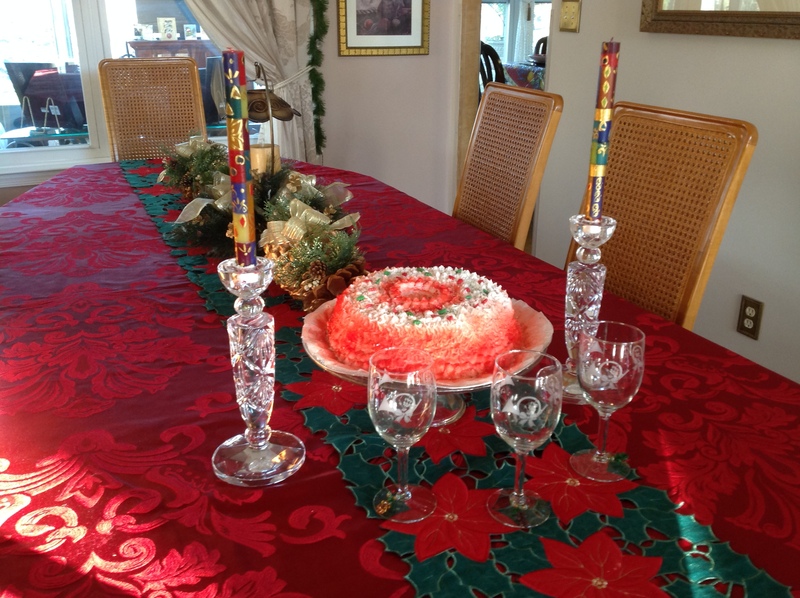 This recipe can be used to ice your Jamaican Christmas cake. This is a quick and easy icing recipe. You can use it on almost any cake you choose. 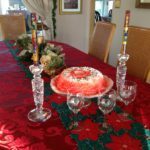 Delicious Buttercream Icing Recipe to make your Jamaican Christmas cake beautiful. Have a cup with warm water and a large knife, Cover entire cake with icing and smooth cake over by dipping knife in warm water. Allow icing to dry for 1 hr. Fill a Wilton parchment 15" triangle decorating bag with a 106 or 107-star tip. Start piping stars from the base of the cake in rows covering the entire cake. Allow icing to dry. Jamaican Christmas cake, which is also referred to as Jamaican black cake has long been the most popular Jamaican dessert in Jamaica. 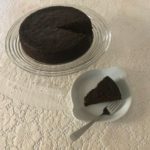 Jamaican black cake is thought to be derived from the British figgy pudding, but with an island twist. While it has traditionally been thought of as a Christmas cake, it is actually baked and eaten all year round. It is also frequently used as a wedding cake. This recipe is the holy grail of Jamaican black cake recipes. It was handed down from my grandmother to my mother and then to me. It has been in my family for over 100 years (as far as I know). This cake has been served at every family occasion throughout my life. 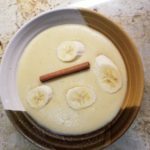 This recipe has always been a big hit, not just with family members, but with anyone who’s ever tried it. It is with great honor I present to you a piece of my family’s culinary history. 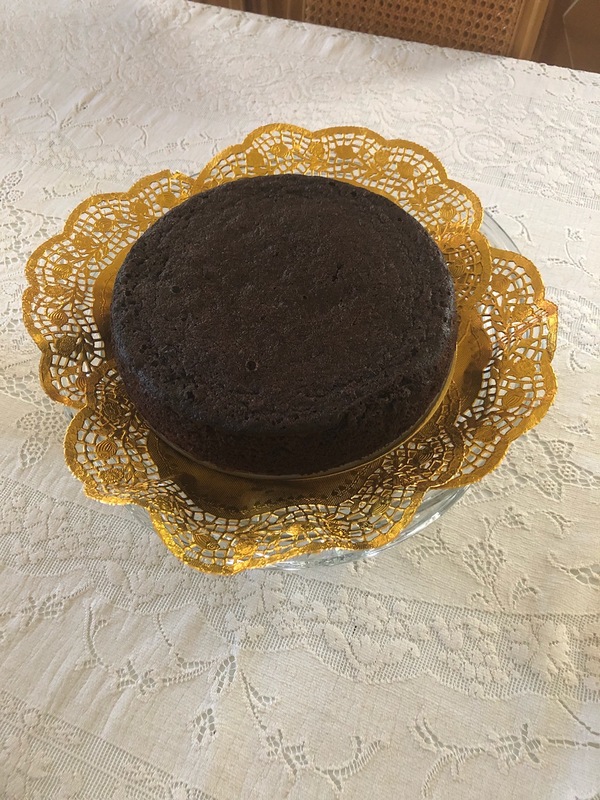 My grandmother’s Jamaican black cake. To learn how to decorate your cake like the one pictured, please click here. This delicious cake is a Jamaican jewel. This cake can be found on every table around the holiday season. It is also great for dessert at your next dinner party. I guarantee you it will be a hit. Cream 16 oz of dark brown sugar and 16 oz of unsalted butter in an electric mixer until smooth. Add 12 large eggs to your creamed butter and sugar mixture (Add 3 eggs at a time until they are all incorporated into your mixture). Add 2 tbsp vanilla, 2 tbsp rose water 2 tbsp mixed essence and 2 tbsp of almond flavor to your mixture. Combine in a bowl, 6 oz all-purpose sifted flour, 6 oz plain bread crumbs, 1 tsp salt, 2 tbs baking powder, 1 tbs baking soda, and cinnamon, 2 tbs ground ginger, 1 tbs mixed spice, 1 tsp nutmeg, and 1/2 tsp ground cloves. Now it's time to prepare your dried fruits. Simmer over low heat, 2 cups of port wine and 1 cup of Jamaican White Rum, add 1/2 cup dried raisins, 1/2 cup dried currants, 1/2 cup dried cranberries, 1/2 cup chopped pitted prunes, 1/2 cup chopped dried dates, 1/2 cup candied cherries and 1/2 cup candied mixed peel. When all liquid has evaporated let your fruits cool. Alternate your flour and fruit mixture to your cream mixture and blend in your electric mixer (Do not beat). Add 2 tbs molasses, and 4 tbs browning to your mixture and blend slowly in your electric mixer. (Do not beat). Fill pans 3/4 full, Heat oven to 350 degrees (Do not preheat). Remove from oven while still hot, mix together 1/4 cup port wine and 1/8 cup white rum and pour over cakes. Leave cakes in pan to cool. Try this amazing stand mixer for all your baking needs!! The most famous of all Jamaican recipes is ackee and saltfish (codfish). Ackee and saltfish is considered Jamaica’s national dish. Ackee is a fruit of West African origin. It made its way to Jamaica around 1798. Ackee and saltfish is usually served as a breakfast dish but can be eaten for lunch, or dinner. You must be careful if preparing this dish with the raw fruit from the tree. Raw ackee can be poisonous if ingested. You should never eat the raw fruit under any circumstances. You must make sure the fruit is ripe (when the pods open, and the seeds are exposed) before it is harvested for consumption. Then it should be cleaned by removing the seeds and the stringy pieces attached to the inside of the fruit. It should then be boiled before cooking. 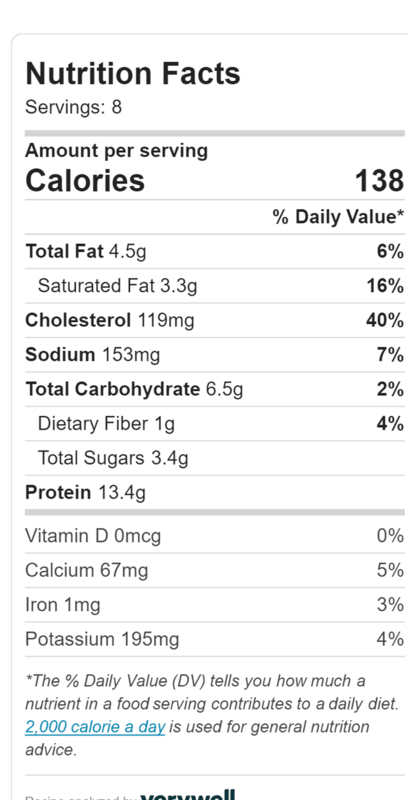 There is however canned ackee which the majority of people in Europe, and the USA use. Canned ackee can be found at Walmart and many local supermarkets. Ackee and saltfish can be served for served for breakfast, lunch or dinner. This is perhaps the most versatile of all Jamaican dishes. Soak the saltfish in cold water for about 1 ½ hr, then place in a medium-sized saucepan filled with water and boil for about ½ hr. Remove the saltfish from the saucepan, then remove all bones and break the saltfish into flakes. Add 1 tablespoon of vegetable or olive oil to a medium-sized frying pan and let hear for about 3 minutes until hot. Add your, saltfish, chopped onions. garlic, scotch bonnet pepper, and green pepper to the heated oil, and sauté for approx. 8 minutes over a medium flame. 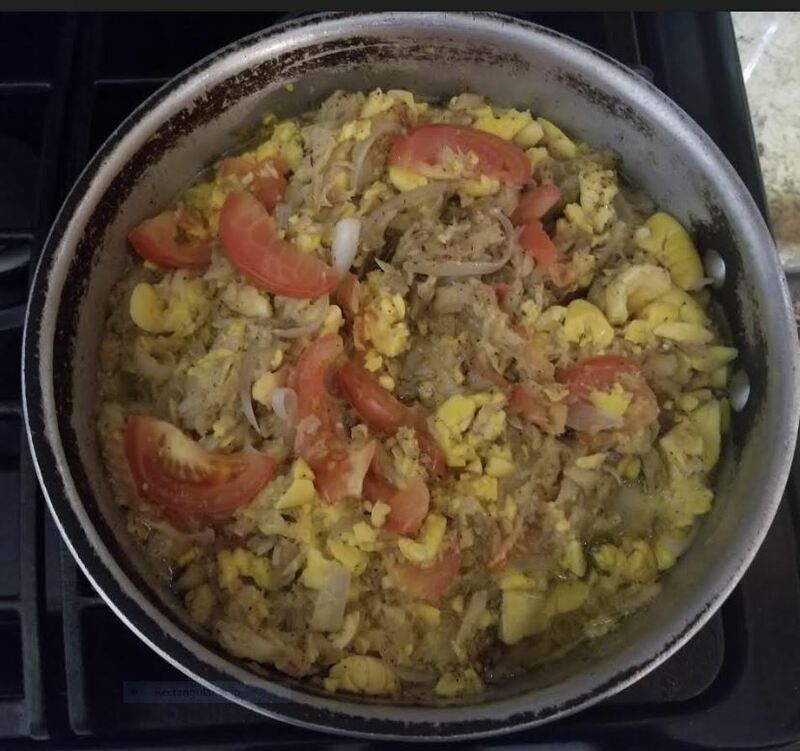 Add your drained ackee and 1 tablespoon of black pepper, tomato and your thyme to the frying pan and let cook for approximately 15 minutes over a medium flame. Served with boiled green bananas and boiled or fried dumplings. To reduce sodium, boil salt fish (codfish) until salt dissipates. Jamaican Rice and Peas served. 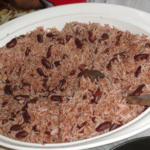 Jamaican Rice and peas is the staple of every Jamaican Sunday dinner. 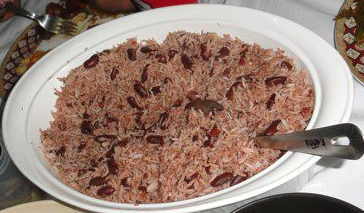 The 2 things you can be sure of in Jamaica are sunshine, and rice and peas on Sunday. This delicious dish was first introduced to the island by the slaves that came from West Africa centuries ago. The recipe has changed a little since then, by using ingredients found on the island, such as thyme, and pepper. My grandmother would scoff at me for using canned coconut milk instead of the fresh coconut milk she used. If only I had a coconut tree in NJ which I could get my own fresh coconuts, LOL. Enjoy your Sunday rice and peas. This easy to follow recipe will have you cooking like a Jamaican in no time flat. If you're a Jamaican, you better know how to cook rice and peas. The first thing you must do if you're using dried kidney beans is to make sure you soak them overnight in a bowl of water. This softens the texture of the beans. I prefer dried beans, but you can use the canned kidney beans instead. Drain the water from the beans and rinse thoroughly with water. Place your beans in a medium saucepan, add about 3 cups of water and boil for about 1 hr under a medium flame. Your beans should now be tender (test by sticking a fork into one of them). While your beans are simmering, you can now add your unsweetened coconut milk, and stir for about 5 minutes. Then you add your chopped garlic, scallions (green onions), thyme, allspice seeds and scotch bonnet pepper. Stir under a medium-high flame for about 5 minutes or so. Then you can add your rice and cook until the rice is cooked and fluffy, which takes about ½ hr to 40 minutes. There you have it, delicious Jamaican rice and peas. 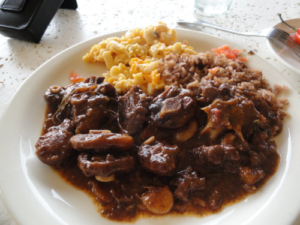 Jamaican Oxtails is one of the most popular Jamaican recipes. It is delicious and easy to make. This dish has European origins, as it was introduced to the island by the British many centuries ago. The British used to enjoy oxtail soup with vegetables in the 17th century and brought it to Jamaica when they arrived. It has since been synonymous with Jamaican cuisine ever since. 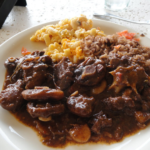 This is my Jamaican oxtail recipe which I’ve used to feed many satisfied palates. Let’s get going, and learn how to cook Jamaican oxtails. 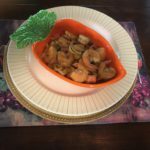 This tasty dish is loved and served worldwide, While I'm sure all the recipes are delicious, there is something special about Jamaican oxtails. In a large mixing bowl, add 1 tablespoon of black pepper to your oxtails. You then add 1 teaspoon of paprika, add your chopped onion, scallions (green onions), chopped garlic, scotch bonnet (habanero) pepper, thyme, and allspice seeds. Add Worcestershire sauce and browning sauce to your oxtails. Rub vigorously until your oxtails are completely coated and infused by the seasonings you've just added. Let sit for 1 hour (overnight is ideal for a proper marinade). Add 3 tablespoons of vegetable oil to a large saucepan under a medium flame. When the oil becomes hot (approximately 5 minutes), place your seasoned oxtails in the saucepan until your oxtails become brown (approximately 5 minutes). 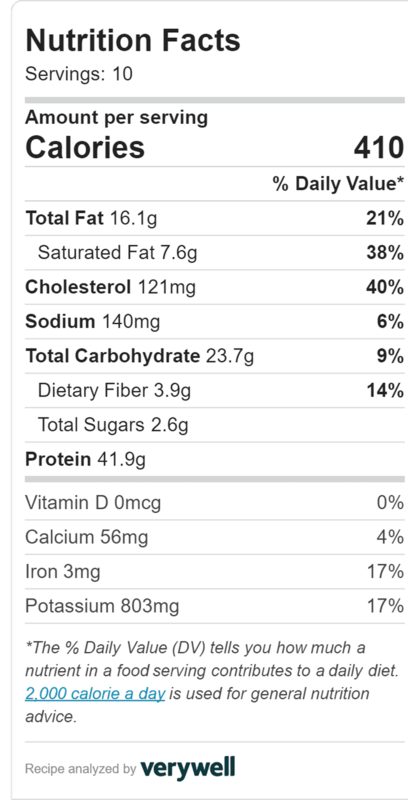 Add 3 cups of water and add your beef bullion cube. Stir occasionally and let cook under a medium flame for about 2 hrs while stirring intermittently. Add the butter beans (remember to drain the water from the can) after about 1/ ½ hr. Let simmer and add a little water if needed. You have just made Jamaican oxtails. Enjoy and don't forget to share it. Serve with White rice, or traditional Jamaican rice and peas and a side salad. You can use this amazing instant pot to aid in cooking all of your meat-based dishes. My name is Court, and one of my all-time favorite pastimes is eating and making the delicious food of my home island Jamaica. I enjoy food from all 4 corners of the world, but Jamaican, and West Indian food has a special place in my heart (and my palate). My love affair with Jamaican food goes back to my childhood, where I spent the 1st 9 years of my life. In Jamaica, there is such a diverse mix of cultures (African, Indian, European, Asian, Native and Indigenous tribes), and ethnicities, that over the years, the cuisine of the island became an amalgam of all these wonderful cultures). My grandmother who was of Indian descent was hands down the best cook that I have ever known. There was nothing that she couldn’t cook. She seemed to have a Rolodex of recipes in her head. I never saw her refer to a written recipe, ever! I was amazed at how she could have 4 pots on the stove, a cake in the oven, all the while, scolding the grandkids to get out of her kitchen while she was cooking. She never scolded me though, because I, unlike my siblings and cousins was always willing to lend a helping hand with the cooking, while their interests laid in stealing from the pot. That was my introduction to learning how to cook real authentic Jamaican food, like curry chicken, curry goat, Jamaican rice and peas, oxtail, jerk chicken, and so many other delicious and wonderful dishes. 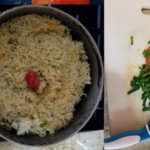 I made sure to pay attention to all the ingredients she used, the measurements, the time it took to cook, as well, as the type of cookware required for the different dishes. I, unlike my grandmother, decided to document these Jamaican recipes, which fed so many family members, friends. 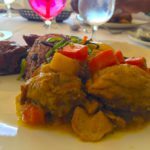 The beauty of a Jamaican recipe is that the same dish may have 100 different ways to cook it, but the end result is the same, a delicious meal. 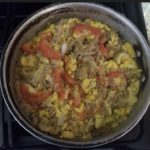 I plan to teach anyone who has ever been interested in cooking Jamaican food, how to make a real authentic Jamaican meal. We will also explore recipes from other islands of the Caribbean. 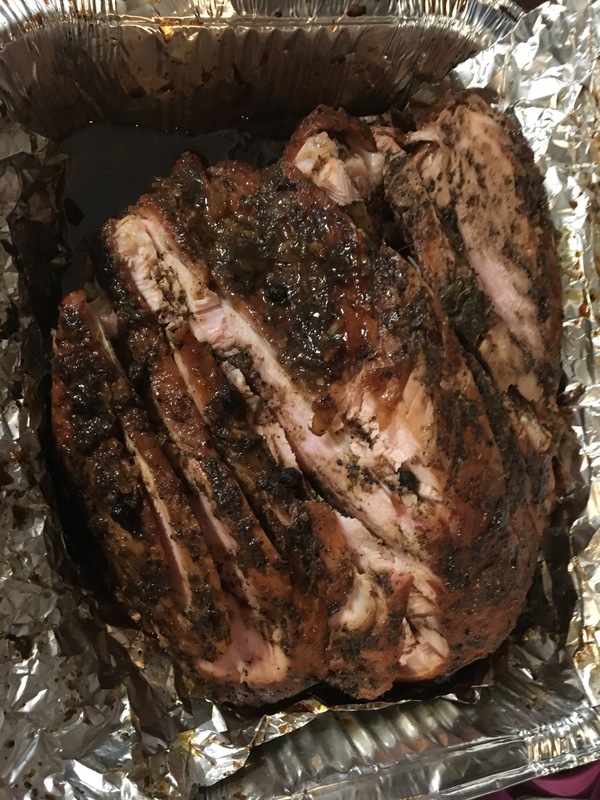 My recipes are easy to follow and will teach you how to cook like a Jamaican. I will share my Jamaican curry chicken recipe, my Jamaican oxtail recipe, and so much more. 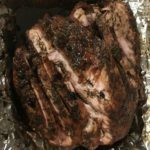 You will be the hit at your next dinner party, BBQ, or your own dinner table when you serve up a real authentic Jamaican meal. Sit back, relax, and welcome to my Kitchen, where there’s always an extra place at the table for you.